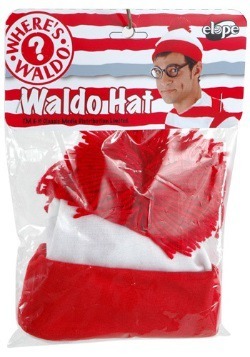 What do you think Waldo does for a living? Obviously, the guy is doing pretty well for himself, since he seems to be on vacation 24/7. And we’re talking expensive vacations—not just a camping trip to the local park. He’s been to the snowy slopes of Aspen. He’s been on African Safari trips. He even has a wizard friend that takes him on trips through time. That can’t be cheap! So, what’s the secret to his success? 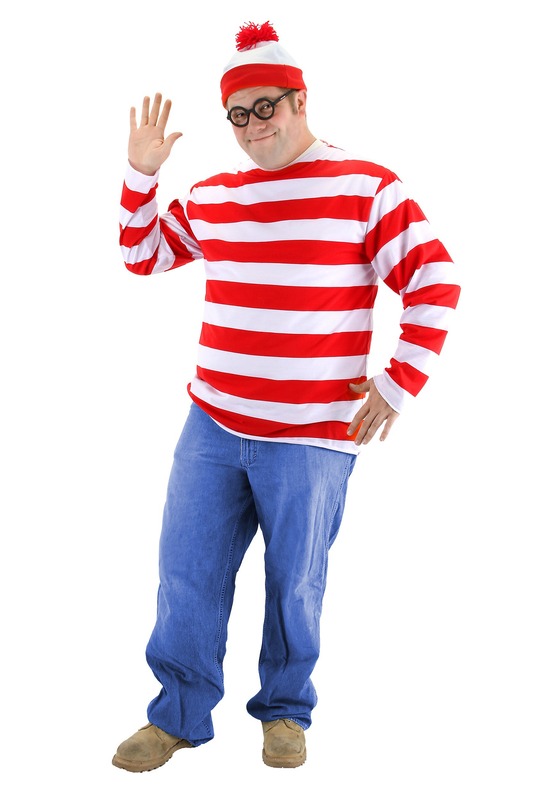 Maybe he’s a stock trader by day and makes boatloads of money investing in risky stocks. Perhaps he’s a humble public librarian who’s a master of frugality in his spare time. Perhaps he inherited millions from a deceased relative and he just does some pro bono work on the side. Maybe he has some sort of shady deal with that wizard and they use their extensive knowledge of time travel to set up some lucrative (and possibly unethical) deals. It’s truly a mystery to everyone. 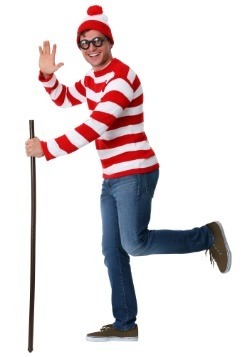 Well, now you can explore the question yourself by living a few days in Waldo’s shoes with the licensed Where’s Waldo costume. 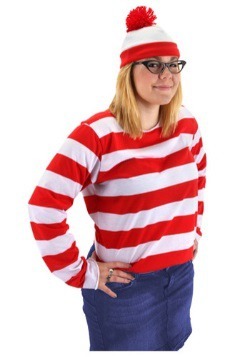 The costume is a plus size version of the classic costume and it comes with a red and white striped shirt along with a matching hat. 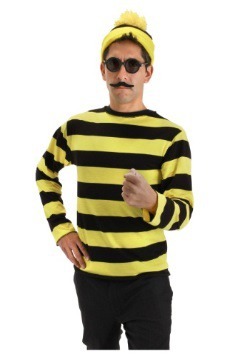 The costume set even comes with those black frame glasses that he’s so well-known for. Unfortunately, it doesn’t come with a wizard best friend, so if you want to do any proper time traveling, you’ll have to start building a time machine of your own! 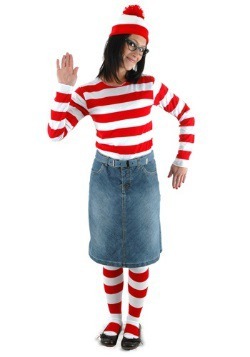 Oh and make sure to keep an eye out for Odlaw when you take a stroll wearing this outfit!